Don't know how to mix several AVI video files into one? Well, what you need is a movie editing software tool to mix these AVI videos together into a single .avi file. And the tool must be a reliable one – mixing your AVI files without any video and audio quality loss. You don't need to take great efforts to search for such a great-quality AVI file mixer. Here, I directly recommend Wondershare Filmora (originally Wondershare Video Editor) (or choose Filmora for Mac if you are using a Mac) to help you do this job easily. With it, you can feel free to mix two or several AVI videos into a complete one, even just mix some segments from AVI files into a seamless one. 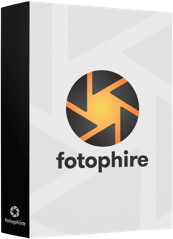 Now, download it for free and follow the steps below to check. 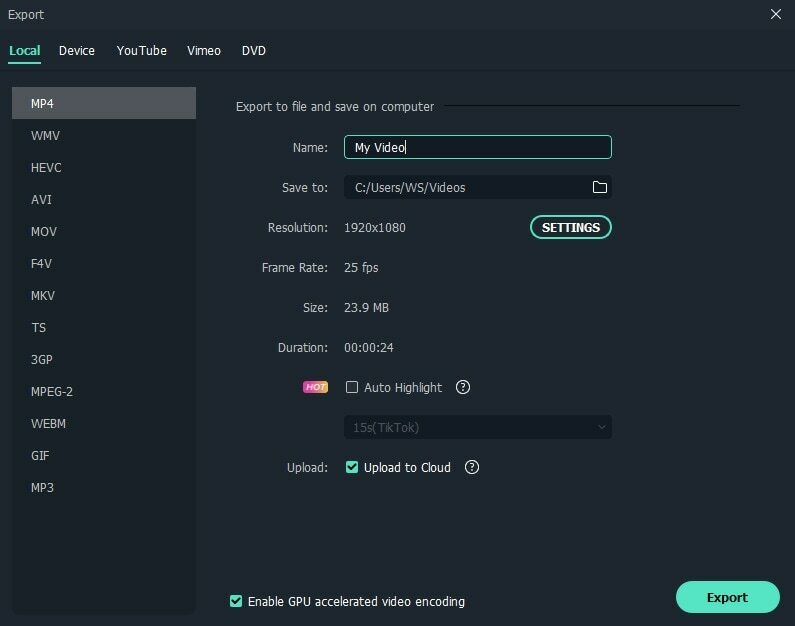 After launch the Filmora video editor, you need to import all AVI clips that you want to mix together. Click "Import" option to browse the AVI files on your computer and then select the ones, click Open to load them to Filmora's media library. Or you can directly drag and drop these target AVI files from your computer to the media library. To mix two or several AVI video files together, you just need to drag them from the media library to the Timeline at bottom. Please note that you must arrange these files on the Timeline according to the play order. So you're advised to drag them from the media library to the Timeline one by one. After that, you can click the Play button in the Preview window to view in real time. Move the Playhead to the position that you want to split, right click your AVI footage in the timeline and select "Split" from the menu. If you need to cut a section in the middle of the video, drag the Playhead to the starting point of the unwanted part, select the scissor icon, then repeat the same step for the ending point of the unwanted part. Select the unwanted part, press Del button to remove it..
Click the Play button in the preview window to check the result. If everything goes OK, then move to next step. When everything is done, you need to click the "Export" button to select one of the export methods below. Format tab — Save the complete video in almost any popular video formats on your computer, including AVI format. Device tab — Transfer your video creation to most devices like iPhone, iPad, iPod, HTC, PSP, Xbox etc. YouTube/Facebook/Vimeo tabs — Share your masterpiece on YouTube, Facebook and viemo. DVD tab — Burn the new video to a DVD disk, or any DVD folder file. You can also change your new video frame rate and bit rate in Settings option. In order to get the best quality, it is suggested to adjust the output settings as the same or similar as the original video. And then click "Export" to export your mixed AVI video. 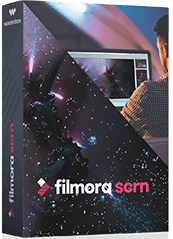 Watch the video below to check out what Filmora can do for you.